The spirit of collaboration has become a thing of today and is penetrating every institution for mutual learning and collective innovations. Since the appointment of our esteemed director Dr. D.K Singh , the institution has been endowed with various shades of resurrection and will continue to accelerate each day. Citing a recent event, an MoU was signed between CTIF global capsule and BIT Sindri . 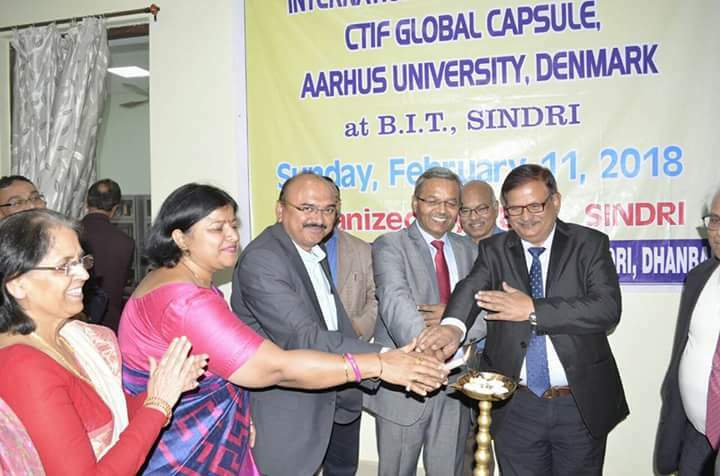 CGC BIT Sindri was inaugurated by Prof. Ramjee Prasad,founder chairman of CGC on 11th February 2018. CGC is a non profit organization, whose head office is in Aarhus University, Herring in Denmark which focuses on leadership and communication needs of society . This new venture promises to develop and promote research activities at national and international levels with a special and interdisciplinary approach concerning information and communication technology. This collaboration will facilitate to develop centre of excellence at BIT Sindri for global interdisciplinary research, industry development and educational activities through scientific projects, two way staff and students exchange programs, research publications, PhD and various other educational programs. The occasion was made all the more exhilarating by the benign presence of Shashank Shekhar Garuryar , the president of BITSAA and respected guest of honour. 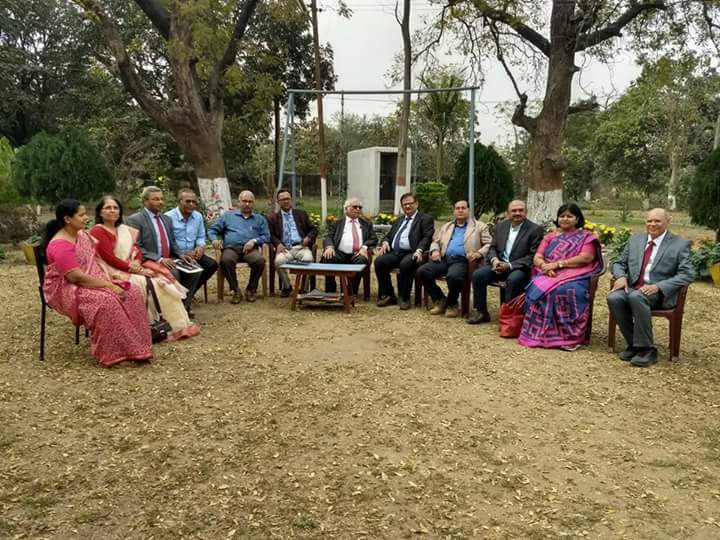 Among others included our alumni and BITSAA secretary Sweta Kumari , Chitranjan Kumar and all the Heads of different Departments. The program kicked off with the warm welcome of dignitaries by Professor G Kumar followed by welcome song by the students of ECE, IT and CSE branch. The Director addressed the gathering by elucidating his plans of making BIT revert to its previous glory . Then Prof. Ramjee Prasad addressed the conference assuring that CGC will support business to strengthen their business models, innovation and technology through collaboration with international partners with the aim to create, capture, deliver, receive and consume new technologies and business model ecosystem through cross interdisciplinary research and collaboration. 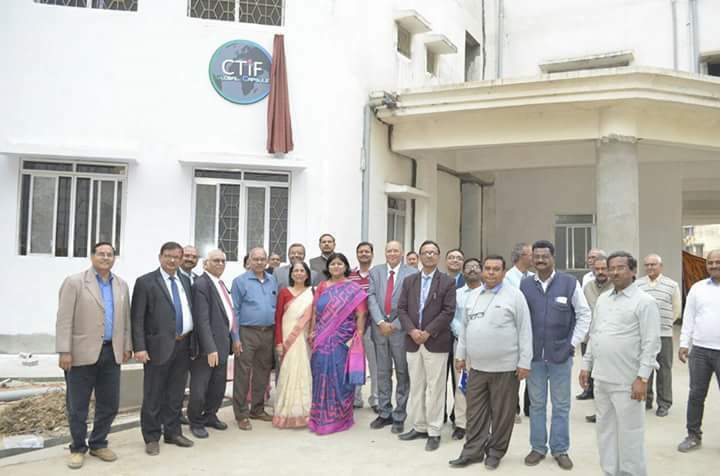 Professor Dhananjay Kumar Singh (Head) , CTIF Global Capsule also expressed his expectations from this collaboration and enlightened us with the effectiveness of CGC capsule that would act as catalyst in the success story of Bit Sindri. This collaboration will provide plethora of opportunities for young minds bubbling with zeal and innovative ideas. Dr. Arun Kumar , Director Science and Technology , Government of Jharkhand delivered a very informative speech which was followed by vote of thanks by Professor Arvind Kumar , Head of Department, ECE. After the conference the dignitaries were escorted to the centre of excellence for the inauguration ceremony. CGC will be on the forefront for strengthening all academic research and industrial partners position enabling growth in research and business supported by cross interdisciplinary technologies and their applications for a smart business, city, village and eventually smart global system. 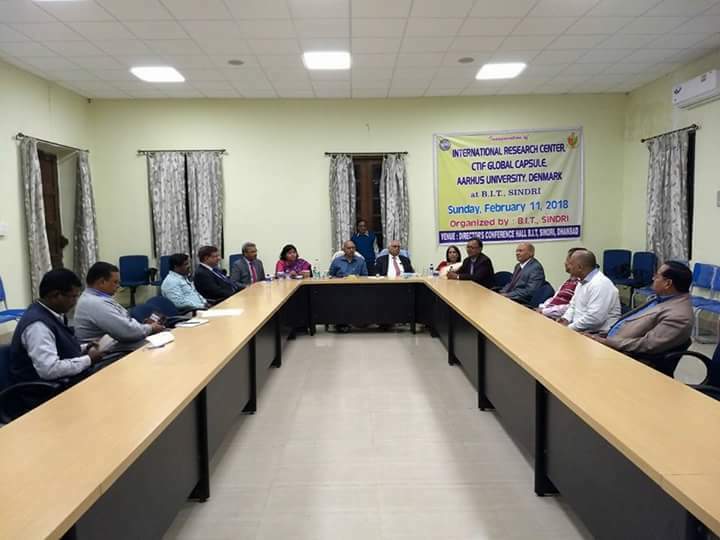 And above all, the thing to take pride in is that BIT Sindri will be gateway for all educational organisation of Jharkhand and north east region in India to connect with the international academic world. Previous Previous post: How pertinent was Anti-Padmavat Movement?